Circuit Zandvoort celebrated their 60th birthday in 2008. After the opening in 1948, the circuit was the home of multiple Formula 1 Grand Prix races. A worthy follower of the race event was found in the Marlboro Masters. A quick look back at the circuits history. The Zandvoort race track dates back to the 1930s. On June 3 1939, an international competition for race cars was organised for the first time in Dutch history. This involved a course through the streets of Zandvoort. The event attracted a couple of thousand visitors. That event was the reason that the mayor back then decided that there should be a permanent circuit. The dunes in the north of Zandvoort were chosen as the right location. 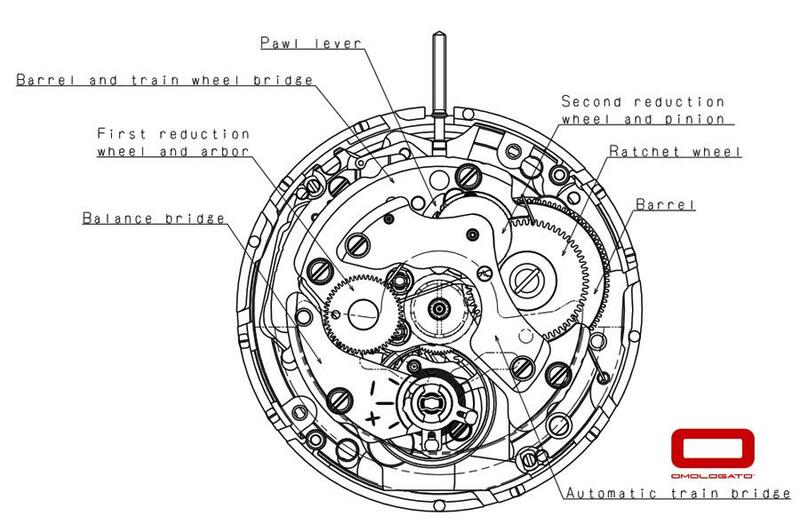 The actual realisation of the circuit took longer than expected due to the start of World War II. Mayor Van Alphen was able to convince the occupier of the usefulness of the race track which would serve as ‘Paradestrasse for when they would win the war. When the war ended the municipality decided to start the actual construction on the circuit in 1946. On 7 August 1948, the first race was held on the new permanent Zandvoort circuit. The race didn’t count for the championships but it did attract a lot of Formula 1 drivers to Zandvoort. The winner was Prince Bira of Siam. One year later, the event was organised under the name ‘‘Grote prijs van Zandvoort’’. Ferrari won this race with driver Luigi Villoresi. In the fifties the name of the Formula 1 race is changed to ‘‘de Grote prijs van Nederland’’. In 1952, Zandvoort became an official part of the World Championships. It was an important step in auto racing history because Zandvoort was part of calendar that only existed out of eight races. Louis Rosier, Alberto Ascari, Juan Manuel Fangio, Stirling Moss, and Joachim Bonnier were able to look back on their races with a good feeling because they all won at least one race. The sixties were the combativeness of the famous drivers Graham Hill, Jim Clark, and Jackie Stewart. They all won at least one of the races. Wolfgang von Trips and Jack Brabham also triumphed at the circuit of Zandvoort. In the seventies the circuit experienced a underwhelming period. In 1970 ‘‘ de Grote prijs van Nederland’’ was overshadowed due to the deadly accident of Piers Courage. In the back of the circuit, close to the east-tunnel, the British racing driver ran of the race track and died on the scene. The race in 1971 was won by Jacky Ickx. One year later the security measurements at the circuit weren’t up to standard and the Formula 1 Grand Prix decided not to go to Zandvoort. In 1973 an extra turn was added to the circuit, the Panorama turn. Other security requirements were covered and because of that de Grote Prijs van Nederland was able to come back for a race on the 29th of June. There was almost no time to celebrate because during the 8th round of the race, Roger Williamson ran off the track. His car immediately caught fire and there were not enough extinguishing methods available. Racing driver David Purley stopped by the accident to help, but it wasn’t enough. The accident was fatal. The race was eventually won by Jacky Stewart. After some adjustments to the fire extinguishing material, the Formula 1 came back to Zandvoort in 1974. That year, Niki Lauda won the race. Other victories were by James Hunt, Mario Andretti, Alan Jones, and once again Lauda. Nelson Piquet won the race in 1980. In the following years the victories went to Alain Prost (twice), Didier Pironi, and René Amoux. 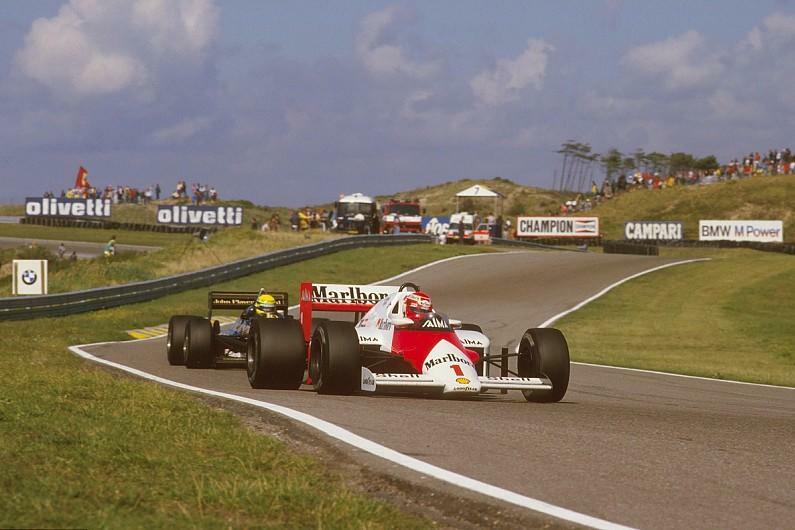 The last Formula 1 Grand Prix in the Netherlands was held on 25 August 1985. At the start were Twenty-six Formula 1 Cars, Niki Lauda eventually won the race. This is at the same time, Lauda’s last Formula 1 win. Prost comes in on the second place and the talented Ayrton Senna finishes third. Due to the arrival of a new bungalow park and economic problems, it was decided in 1988 to short the circuit to an interim circuit. This way, the national motorsport could still race on the circuit and at the same time keep working on good exploitation of the circuit. Options were discussed to get Zandvoort back on the international map. An idea with identical cars was too expensive, that is why it was decided to invite Formula 3 drivers to come to Zandvoort to see who is the best F3 driver. The Marlboro Masters were born. Many Masters winners ended up in Formula 1. Due to that reason, Zandvoort received more international recognition. Racing drivers who ended up in Formula 1 (because of a win in the Masters of Formula 3) are: David Coultthard, Pedro Lamy, Enrique Bernoldi, and Jos Verstappen. More recent examples are Takumo Sato, Christian Klien, and Formula 1 World Champion Lewis Hamilton. Images of the Masters of F3 went all over the world whereby more international recognition was triggered. That is how DTM came to Zandvoort in 2001. It was a big success, the races in Zandvoort were the most popular ones in Germany. Winners were: Uwe Alzen, Laurent Aiello, Christijan Albers, Matthias Ekström, Tom Kristensen en Martin Tomczyk. In 2006 the A1GP World Cup of Motorsport arrived to challenge the race track on the North Sea coast. The event was a big success. With more than 120.000 visitors over the course of the weekend, it was one of the most successful motor sport events in the Netherlands, to the delight of both the A1GP organisation and Circuit Zandvoort. The already existing list of events received a newcomer in 2007. The FIA World Touring Car Championships came to Zandvoort. Due to strict noise pollution rules, it wasn’t possible to offer the audience any extra entertainment and the circuit had to deal with a limited number of days that there could be sound pollution. FIA WTCC also needed to find sponsors for the event. That is why it was decided to postpone the event until further notice. In 2008, the 60th anniversary of the circuit was celebrated with the Anniversary races. Motorsport fans and the people of Zandvoort were treated to a big anniversary parade and a packed race schedule. After the event, everyone shared the same opinion: this event needed to be repeated. The repetition of the event was possible if the circuit received extra days of the municipality to make noise and. High on everyone’s wish list were more historical race Championships. In 2012, the first edition of the Historic Grand Prix Zandvoort was held. Partly because of the extra noise days, Zandvoort became more and more popular. Circuit Zandvoort is a popular circuit among both teams and racing drivers. The friendly, incomparable Zandvoort hospitality and the unique atmosphere make Zandvoort a much sought-after track for international race series. It wasn’t long until ADAC GT Masters, FIA GT3 European Championship, FIA European Formula 3 Championship en Blancpain Sprint Series, came to Zandvoort. Omologato is paying tribute to the circuit with the launch of our new Zandvoort timepiece. Its stylish retro design features sapphire glass as well as a beautifully engineered caseback, and honours The Netherlands via its use of traditional Dutch orange. Along with the new Kyalami, the Zandvoort is also the first Omologato watch to feature Seiko automatic movement, with a sweeping seconds hand. A leather strap is included, plus a NATO strap as a spare, and there’s a watch roll plus strap-changing tool. 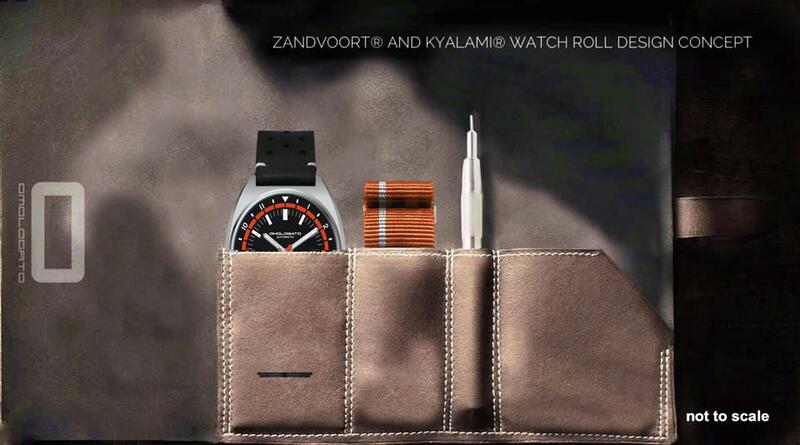 Both the Zandvoort and the Kyalami are fitting additions to Omologato’s motorsport-themed line-up, and continue the company’s tradition of honouring racing history. Each watch will be presented in a watch roll with an Italian high grade leather strap and a double layer NATO as standard.